Since its release, Pokemon Go has taken the world by storm, and Central Florida is no exception. While the game is a great way to burn calories and socialize, it has also brought about several concerns from a legal perspective. Trespassing being the number one offender, as players have been reported wandering private lots, memorials and parks after hours while looking for Pokemon. When you are playing the game, remember to be mindful of private property areas. Here are 4 of the best public places in Orlando to play Pokemon Go - be sure to share this list with your teenagers and family! 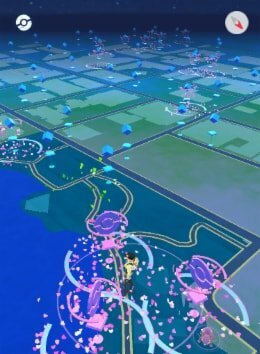 Lake Eola is a definite hot spot for Pokemon players in Central Florida. One lap around the lake will give you dozens of items from pokestops, not to mention plenty of water Pokemon to catch as well. For players on the east side, the UCF area is filled with pokestops and gyms. A trek across the campus will lead you to back-to-back pokestops, and the Reflecting Pond by the library is a gym. If you have a pass, you're in luck. Disney, Universal Studios and SeaWorld are just a few theme parks doubling as Pokemon Go heaven. Players who are not keen on ticket prices can try out Disney Springs instead, where there are over 30 pokestops. Cranes Roost Park in Altamonte Springs is a great area to catch Pokemon. There are plenty of spots to sit in the shade when you need a break, as well as electrical outlets on light posts if you need to charge your phone.